Amanda is nationally recognised as a leading healthcare lawyer. She works regularly with Chief Executives, Head of Departments and the Boards of major NHS Trusts. Amanda is also highly respected for her knowledge of Primary Care, where her advice is sought after by GPs and dentists across the country. 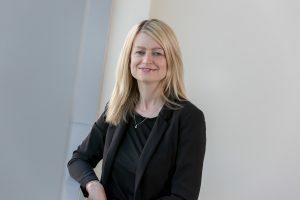 She advises NHS organisations on the legal aspects of the key strategic issues they currently face including Sustainability and Transformation Plans (STPs), multi-speciality community structures and new models of care structures, as well as underlying governance, structural, commercial and charitable issues. Amanda provides training to Trust Boards on governance issues including the Bribery Act, and is often asked to sit on steering groups for large scale projects within NHS Trusts. Notably, she has recently advised on a framework agreement with an NHS Trust based in Scotland and is at ease working with documents outside of the jurisdiction of England and Wales. Amanda is a regular speaker at national healthcare conferences and leads seminars and workshops. She has also written numerous articles published in Healthcare industry publications. She is a former Chair (2012-14) of the Association of Specialist Providers to Dentists (ASPD) and currently is Secretary of the National Association of Specialist Solicitors Advising Doctors (NASSAD). Amanda also has a speciality in charitable matters where she advises both independent health related charities (Children’s Heart Unit Fund, Freeman Hospital) and those linked to NHS Trusts. She also chairs Sintons’ Corporate Social Responsibility committee and leads the firm’s graduate recruitment programme. Amanda’s ability to forge long term relationships with NHS clients and build their trust is testament to her years of experience and her approachable and caring personality. Elsewhere, Amanda is a Governor of Newcastle High School for Girls and Chair of TyneGateway Trust, a charity that facilitates female entrepreneurship to help families escape from poverty and winner of The Times New Charity of the Year 2014. Amanda was listed as a ‘leading individual‘ for Healthcare by the Legal 500 in 2017, whilst the Healthcare team was descibed as being ‘a true leader in the healthcare field’.